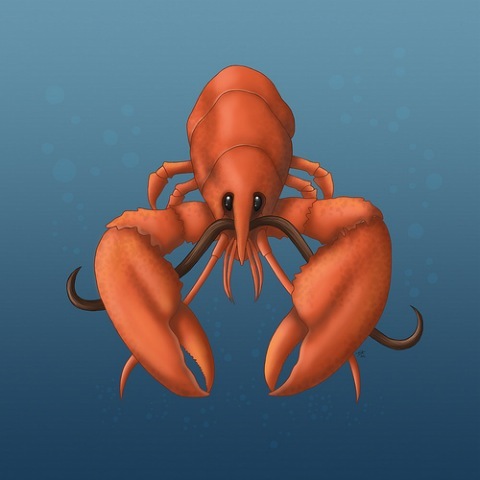 Did you know lobsters in captivity rearrange their caves? 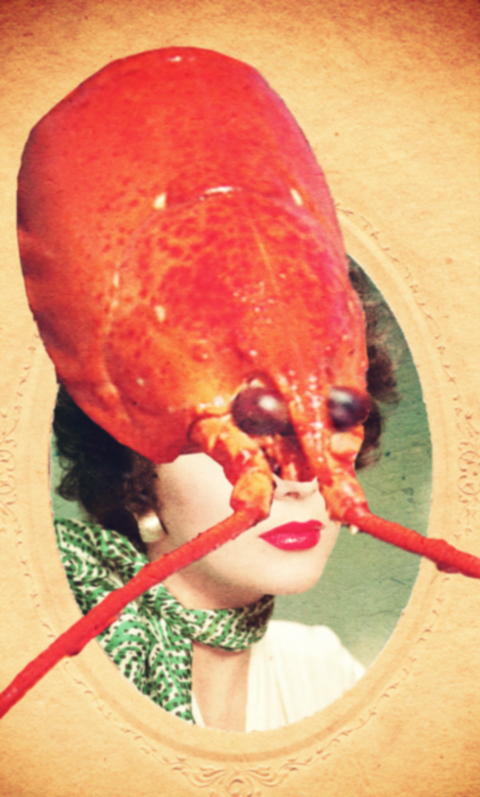 Edwina Ashton knows, and she has created a performance art piece where we can watch her do just that in full lobster garb. 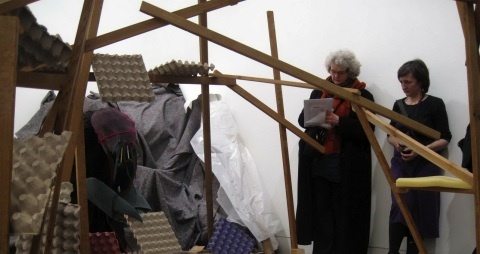 It’s quite something, what goes on at Jerwood Space. Illustrations by Mina Bach and Caz Lock. Reading the brochure only served to confuse me further ahead of my visit to Jerwood Space. The descriptively-named ‘Show’ seeks to examine “the integral role that performance plays within an artist’s practice and its subsequent representation in an exhibition context” … Okay, unhealthy hospital so it makes a little more sense now after I’ve seen it, search but only a little. It’s performance art, people – enter at your peril, but it will be like nothing you’ve seen before. Watching Edwina Ashton dressed up as a lobster, slowly moving about the studio moving things, was something akin to a surreal experience. It was hard to know what to think as Ashton, whose lobster head was secured with a pair of pink fishnets, positioned egg cartons in a wood frame. What’s she doing? What’s going on? Is it supposed to be funny? Are we being filmed as part of a scientific experiment? In the days since the performance I am still nowhere closer to figuring it out. ‘Show’ also featured two other artists – one being Jack Strange in ‘Zip and zing’. This was two legs poking through holes in the wall, which I discovered by almost tripping over one of them in the crowded gallery. I’d worn my warm but scruffy cardigan for the cycle to Jerwood Space and was planning to put it in my bag for the gallery, but there was no need for that; it seems frayed knits are big with the performance art crowd. The same seems true for bold spectacles and beards, stationery necklaces and growing-out neon hair. 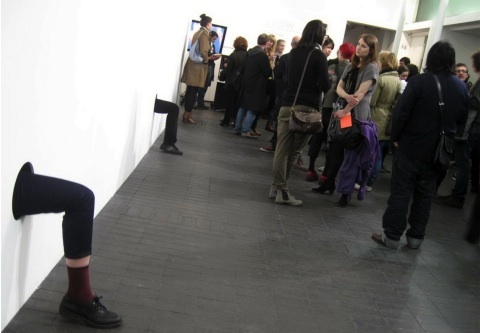 The final performance, Bedwyr Williams’ ‘Urbane Hick’, was a hit with the crowd, as the artist poked fun at his genre. ‘Performance art isn’t an earner,’ he pointed out, following up with statements such as: ‘Is there anything more self-righteous than a Londoner in a park,’ drawing laughter from the crowd. After all we were inclined to like him after he told us what he did to the last person who disapproved: he dipped a discarded Chupa-Chups into their drink. And no one wants that. 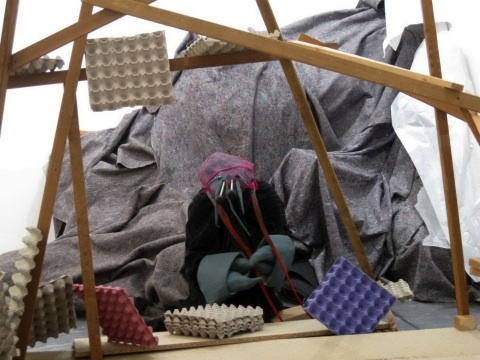 ‘Show’ runs at Jerwood Space on the South Bank: 171 Union Street, London SE1 0LN, until 21st April. Free entry but booking is required. For more information see our listing. Exhibition: Nobrow Press presents Dungeons and Desktops by Jack Teagle.